Fred Webb was a wing three-quarter of outstanding merit. A real stylist, he had a special gift for side-stepping opponents, and he was a popular favourite with the Kingsholm crowd. Fred made his debut for the Gloucester first team in the 1911-12 season with a couple of appearances, scoring a try on his debut at Stroud on 9th April 1912, which helped Gloucester to win 14-0. He played more often the next season with 14 appearances and 5 tries for the first team (and a further 13 appearances and 12 tries for the “A” team). By 1913-14, Fred had become a regular in the first team, appearing in 27 of the 37 matches played. Fred’s rugby flourished under the captaincy of “Biddy” Holford that season, and it was to prove his most successful at the Club. He started with a bang, scoring 8 tries in 3 successive matches in September – he warmed up with 5 tries against the 1st Gloucestershire Regiment, then contributed a brace against Moseley in a 14-0 win, and followed up with a try which represented Gloucester’s only points in a 9-3 defeat at Northampton. The following month he made a telling contribution with 2 tries in the 9-0 defeat of Swansea, a match in which Swansea were completely outclassed; indeed Gloucester’s first-half performance in this match was hailed as the most brilliant all-round exhibition of rugby in the history of the Club to that time. Fred got into the valuable habit of scoring critical tries, with two in the rare 9-6 victory away at Oxford University, one each against Leicester (won 3-0) and Bristol (won 5-0), and a pair against Pontypool (won 8-0). He ended the season with a try in the last match against Bath, which brought his total to 23, and made him comfortably the highest try scorer of the season, with Washbourne next on 12. The First World War then intervened, and with rugby coming to halt, it came at just the wrong time in terms of disrupting Fred’s rugby career with Gloucester. 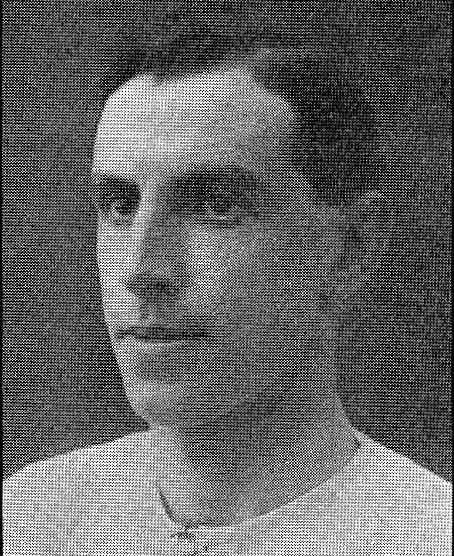 However, Fred enlisted at the same time as Frank Ayliffe and W Beard, and played a number of games for the 5th Gloucesters during the war. In July 1915 Fred Webb wrote to his mother saying that he was in hospital having been wounded in the face and ear. The wounds were caused when a British bomb accidently exploded, killing two men and wounding twenty-two others. The Battalion War Diary states that on 12 July there was an accidental explosion of a hand grenade at the School of Instruction for Brigade Grenadiers at Allouagne which is about 5.5 miles west of Béthune; however it records that only three men were injured including Private Webb. It is likely that Sid Smart was with Fred on the same course, as the 5th Gloucesters Gazette lists him as having qualified as a Brigade Grenadier on 12 July – indeed a large number of the rugby players in the 5th Gloucesters took on the role of Brigade Grenadiers (bombers). When rugby resumed in 1919-20, Fred was again first choice on the wing. He appeared in 26 of the 33 matches played, and racked up 17 tries, which made him equal top try-scorer for the season with Arthur Hudson. He was again quick out of the blocks at the start of the season, scoring all three of Gloucester’s tries in the first match of the season, to secure a 13-3 win against Lydney. Thereafter his tries were more evenly spread but he did score two each against Leicester, Stroud and Cross Keys. On 20th December 1919, Fred kicked the one and only conversion of his playing career – he also scored one of the eight tries scored in the 28-0 defeat of Stroud. Indeed it has to be said that Gloucester may have been fairly desperate to have given kicking duties to Fred, but they were really suffering in that department – during the same season they beat Bath 24-0 (8 tries) and Old Merchant Taylors 15-0 (5 tries), without a single successful kick at goal. Fred took over the captaincy from “Biddy” Holford for the 1920-21 season, and had the distinction of leading a record-breaking team, which played 37 games, won 25, drew 2, and lost 10, scoring 453 points against 262. Unfortunately injuries kept him out of the side for almost half of the matches (he played in 21 of the 37). Nevertheless he managed to score 12 tries and finish third in the list of try-scorers, behind Sid Brown and Norman Daniell. The season started with seven straight wins, the first setback coming at Cardiff, when Hall missed the train, and a substitute had to be recruited from the Gloucester supporters on the terrace. Undoubtedly the highlight of the season was the defeat of all four of the big Welsh teams – Swansea 10-0, Newport 12-9, Cardiff 16-11 and Llanelly 11-8. Gloucester had previously achieved this feat in 1898-99, but Devon Albion were the only other English club to have done so. Of these the Newport match was the most notable because they arrived at Kingsholm unbeaten that season up to the end of January – their defeat in front of a record crowd resulted in every member of the Gloucester side being presented with a silver cigarette case suitably inscribed to commemorate the victory. The team also celebrated a fine win over Harlequins at Twickenham, and Fred himself scored two tries in each of the wins against Northampton, Moseley and Coventry. In 1921-22, Sid Smart took over the captaincy, and Fred played in less than half the games, with 16 appearances, although he did also turn out for the County in a 16-6 win over Somerset. He scored only 2 tries during the season – in the Boxing Day match against Old Merchant Taylors, and against Northampton 5 days later. In 1922-23, Fred made a comeback for a solitary appearance on 3rd March at Swansea. That brought to an end a career which had spanned 3 seasons before WW1, and 4 seasons after, during which he made 109 appearances for the Club and scored 60 tries (and that one conversion).